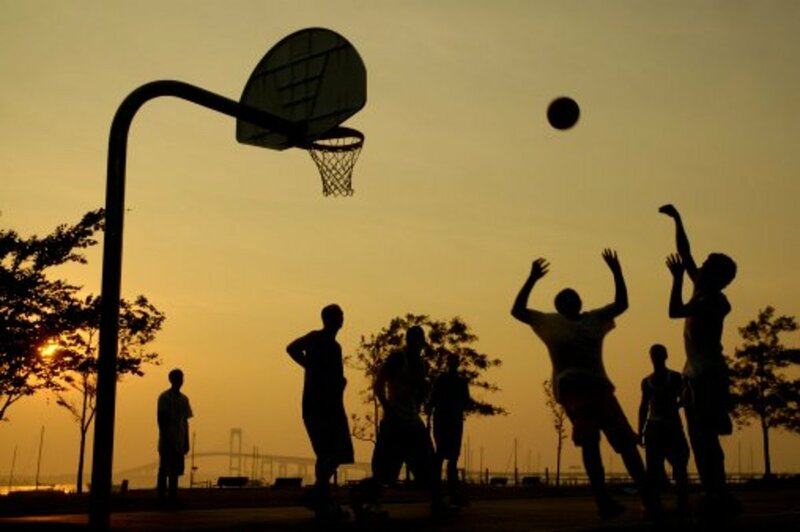 Passing the basketball is a skill that when done proficiently can be more revered than shooting. However, teaching naturally selfish young children to share the basketball is not always easy. The Jelly Bean Way is to begin the process by opening young children's minds. We get them thinking about the animals on the farm before using one of those animals, the chicken to begin the process of teaching young children how to pass a basketball. It seems so simple but it is part of a broader example of how to effectively teach young children to pass a basketball. Without help, it can be tricky to fix young children's thinking that needs to work so they can remember what you teach them. 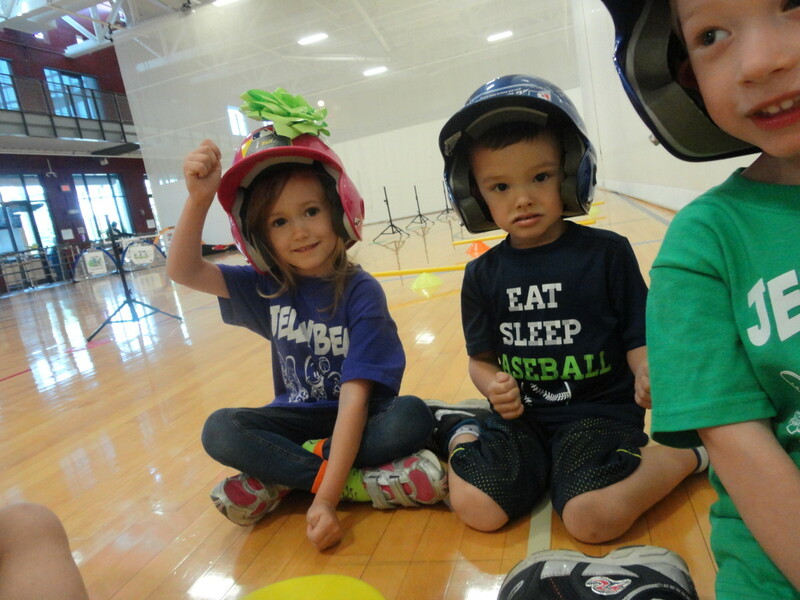 In this hub, the goal is to keep sports simple and make learning fun. I set you up for coaching success as I share our passing process and the fundamental movements to keep in mind when teaching young children how to pass a basketball. Education itself is precisely the work of supplying the conditions which will enable the physical functions, as they successively arise, to mature and pass into higher functions in the freest and fullest manner. When a child learns the process of centering the body behind a pass and generating the power necessary from the elbows, passing begins to look more full and complete. I invite you to try the Jelly Bean Way with your early learners. It offers a fun 3-step teaching approach that even comes with a fun video aid to further help seed the learning. I will arrange the group upon the baseline and give them each a basketball. I will start by standing in front of one young child. I simply ask him to pass his basketball to me and tell me his name. This is the first of a two step process. It is more challenging for young children then you might at first think because it forces them to do two things at the same time. Continue down the row expecting each young child to pass you the ball and tell you their name. After the third child instead of going to the fourth child, return back to the first child. By this time you, in most cases, will have lost their attention. Don't draw attention to yourself. Stand there with your arms out ready to catch their pass. Eventually, either he or she will see you or another child in the group will tell him to pass you the ball. 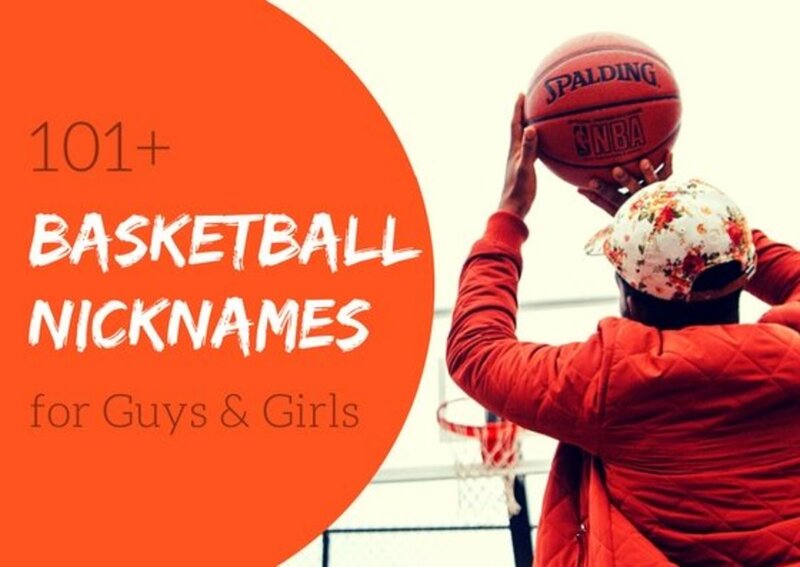 He or she will likely forget to also tell you their name and you will stand their holding the ball staring at them before asking them, "What's your name?" and then bounce passing the ball back. Continue jumping around to different children having fun with the process. Keep the group on their toes. Connect with every child. This assessment exercise is more than just fun for kids. It shows me what I am working with and how comfortable kids are with the idea of passing and catching the basketball. Just getting this basic knowledge of kids, shows them how the learning process can be fun and prevents me from setting too high of expectations. Once back on the baseline tell players to get a basketball and squeeze it tightly between their ankles. I like to begin instruction with a story or easy question and answer session. The following is the routine I use to introduce passing in a way that young children really relate to. Ask participants, "What types of animals live on the farm?" Allow them time to think and respond. Make sure everyone in the group responds with at least one animal. Ideally, a chicken will have been named. If not say it, otherwise ask, "Who said chicken?" Next ask, "What sound does a chicken make?" and "How does a chicken flap its wings?" Next, it is time to put it all together by telling young children to show you their chicken wings and bawk loudly. Get them pumped up by bawking loudly. This is good stuff kids love that makes learning passing fun. Next say, "Pick up your basketball by its ears." I love saying this to children because it engages their imagination something that increases their ability to better retain what they are learning. "Do basketball's have ears," I ask. Of course they don't but this is a perfect opportunity to talk about hand placement by pointing to the basketball and ask children where the ears would be. I say, "The top?" "The front?" "The bottom?" 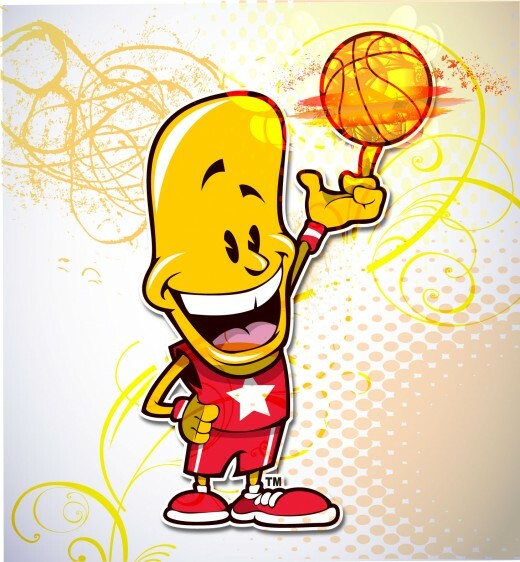 Children know where the ears will be and that is on the side of the basketball and that just so happens to be where they need to hold the basketball when they pass. You should now have young children standing with their hands on the ears of the basketball and holding the basketball with their chicken wings (i.e. elbows out). It is now time to add the step. Standing on the baseline next to them hold your basketball by the ears with your chicken wings, elbows out. Demonstrate how to step with one foot. Simple say, "Step," then step and "Back." and return both feet to the baseline. Repeat this 10 times (5 left leg, 5 right leg). Halfway through demonstrating the step, begin demonstrating how to extend their chicken wings to simulate the passing motion. Step back bringing the basketball back to the chest. Now put it all together in a quick review, "Hands on the ears of the basketball, chicken wings, step, pass." 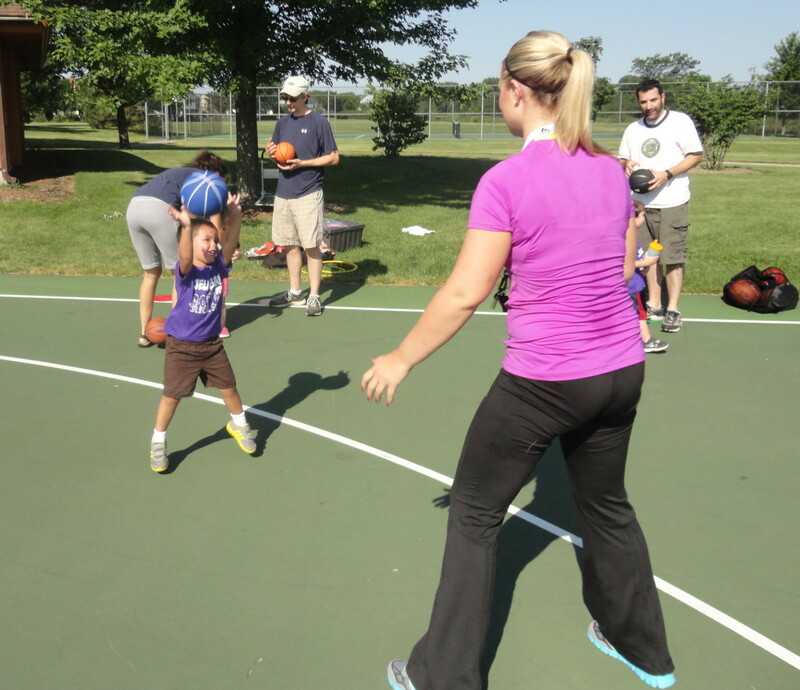 Next, time is devoted to focusing on teaching the different types of passes in basketball. In the case of early learners, I focus on the bounce pass, the chest pass, and the overhead pass, the three big passes in basketball. When teaching passing, many like to pair children up with other children. I find that in younger children more time is spent chasing after the basketball then working on skills. This is where the parents come in. There are three passes to learn. Between teaching each pass I will allow children 1 minutes to go and shoot. Breaking up the instruction like this helps to better maintain young children's focus. The bounce pass, as its name implies, requires the basketball to hit the floor prior to arriving at its recipient. 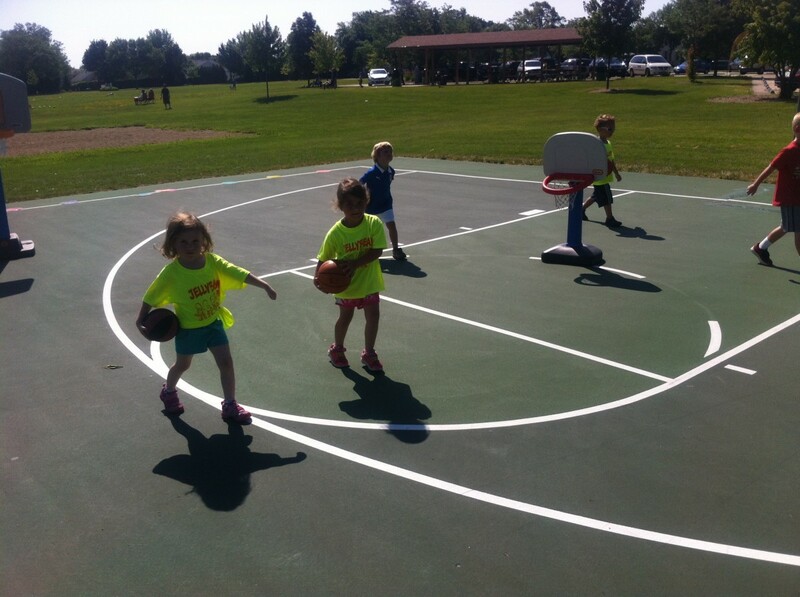 Placing a marker or a dot between each pairing of young children will give them a target to focus on and help them better understand where on the floor the basketball needs to bounce. Chalk or tape will also work well. 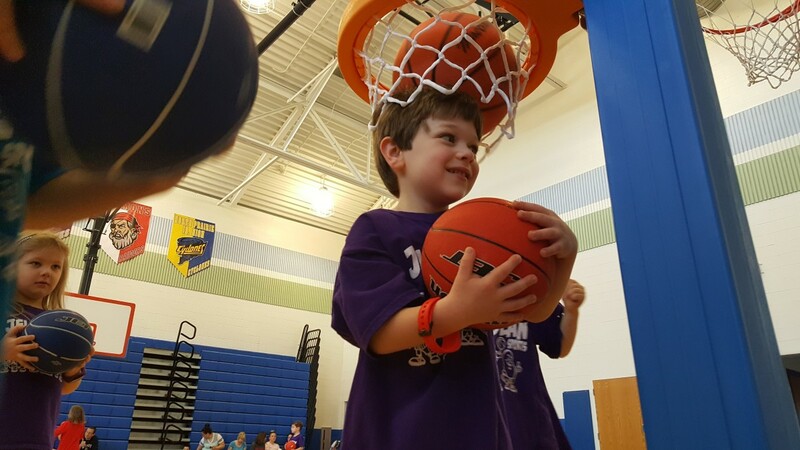 The faster you can get kids into performing the bounce pass, the easier it will be for you to start seeing what it is that each child needs to work on. Expect every child will have different passing strengths and weaknesses. Before teaching the chest pass I like to teach children how catch a pass. This is important because I have seen many a chest pass end up on kids' noses with tears to follow. You will then have to overcome a fear of the basketball upon their return. 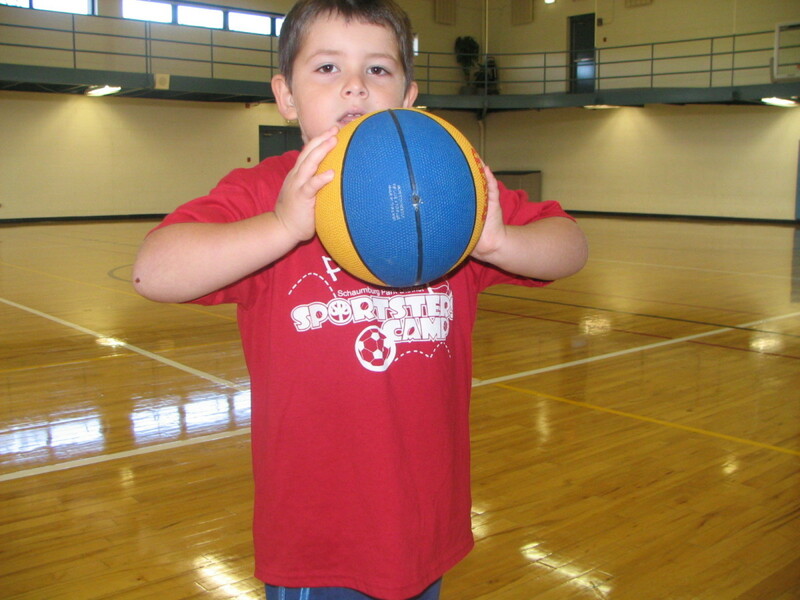 You can avoid this by dialoging with kids before practicing the chest pass on how to catch a basketball. I will ask, "How do you catch a basketball?" Young children will show you many different ways but the one way I like most is the one that is not using their nose or any other part of their face. I teach them to put their hands in front of their face by gently letting them all feel what it will be like if their nose catches the ball. They typically will use their hands to shield their face as I do and this is exactly what they will need to do to effectively catch the basketball. There are some that will invariably have to learn the hard way but knowing you did your part to teach the group what to do ahead of time. In the end, it will be easier to deal with one or two then the whole group getting hit in the face. The chest pass, as its name implies, begins at the chest of the passer and it ideally will land at the chest of its recipient. This pass, if done in succession of the bounce pass, will require reemphasizing hands on the ears of the basketball, chicken wings, stepping and then passing. With the proper guidance and coordination a pass will be successfully executed. Remember the recipient has less reaction time than they do with a bounce pass so it is important to match talent equally. Also do not to expect passes to be properly handled unless they land directly in young children's hands. The overhead pass is used when a long pass is necessary and cannot be accomplished by a chest or bounce pass. The overhead pass can be used for short passes but the two other types of passes are preferred by coaches. There are some fundamental differences between the overhead pass and the bounce or chest pass. The first is that chicken wings are not made. Also, the basketball, instead of starting at the chest, starts above young children's heads. They are still holding the basketball by the ears, and taking a step prior to passing but doing so from overhead. Again, this type of pass requires you review with recipients how to catch it so as to avoid getting hurt. After children begin to demonstrate a proper passing techniques, you can then take the opportunity to expand the passing instruction. An advanced teaching can be taught to early learners that are usually 4 years of age or older. It is called passing with thumbs down. When passing, the hands release the ball and the fingers should be spread apart. Thumbs should, ideally, end up pointing down as the fingers of the child point away. 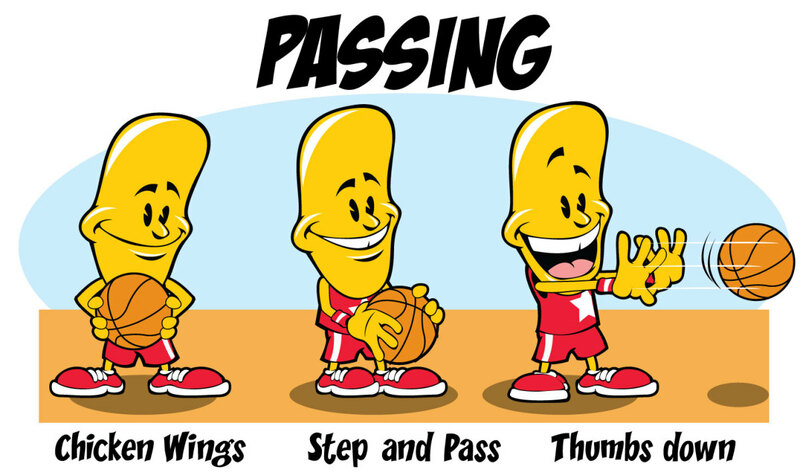 Try to get children to finish their passes by holding their hands out and looking at where their thumbs finish, up or down. You can have fun with the process by grabbing their thumbs and telling them you are milking the cow. Interesting hub. This marks a brand new beginning for kids in developing their skill and talents. I love the information above. You broke it down to where it is very simple and anyone can understand it. I have two fantastic shooting drills that are good for any level player as well. Check them out and tell me what you think.